If I were overweight because I ate too much, I would have far more of a complex. 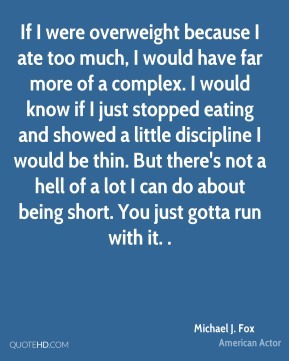 I would know if I just stopped eating and showed a little discipline I would be thin. But there's not a hell of a lot I can do about being short. 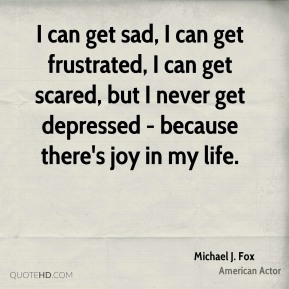 You just gotta run with it. . I didn't want to do a Family Ties type show. It never really represented my outlook and my sense of humor. 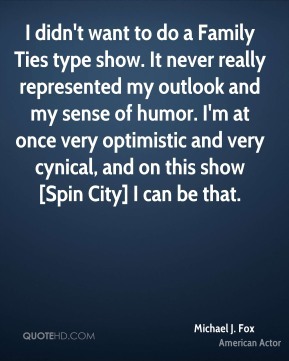 I'm at once very optimistic and very cynical, and on this show [Spin City] I can be that. It's a disease that makes you uncomfortable, so, all things considered, that's not too bad. 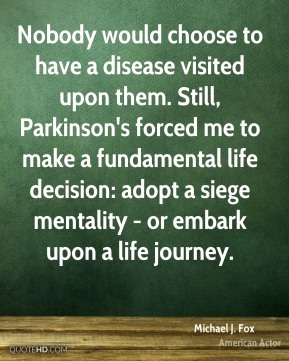 It's still a gift in that it makes one alive. To see what I've lost makes me see what I've gained and what I have. 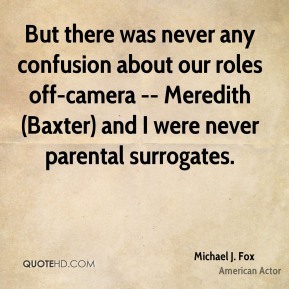 But there was never any confusion about our roles off-camera -- Meredith (Baxter) and I were never parental surrogates. 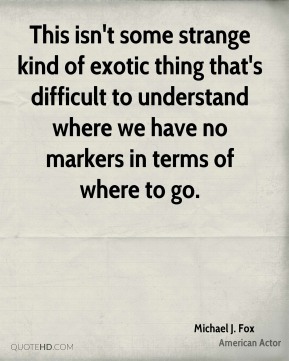 This isn't some strange kind of exotic thing that's difficult to understand where we have no markers in terms of where to go. 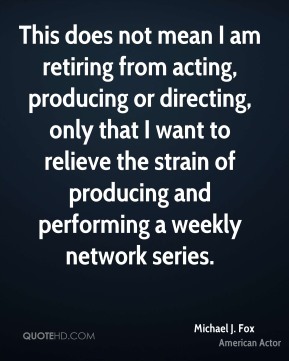 This does not mean I am retiring from acting, producing or directing, only that I want to relieve the strain of producing and performing a weekly network series. 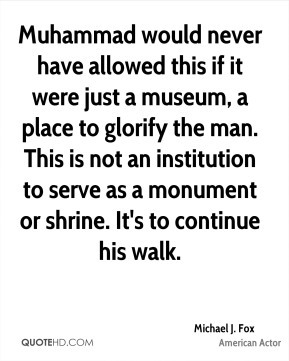 Muhammad would never have allowed this if it were just a museum, a place to glorify the man. This is not an institution to serve as a monument or shrine. It's to continue his walk. I guess you guys aren't ready for this yet, but your kids are going to love it. 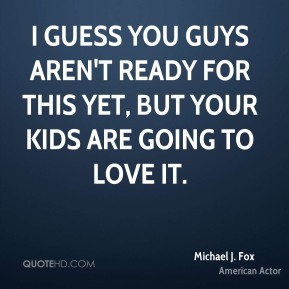 [My son] will have a fairly stable future. 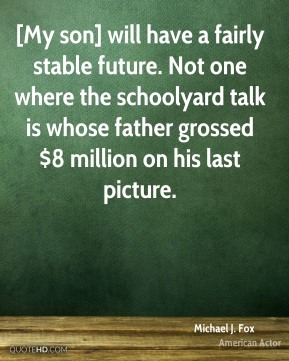 Not one where the schoolyard talk is whose father grossed $8 million on his last picture.